How Ed Haskins’ departure will impact Garfield. 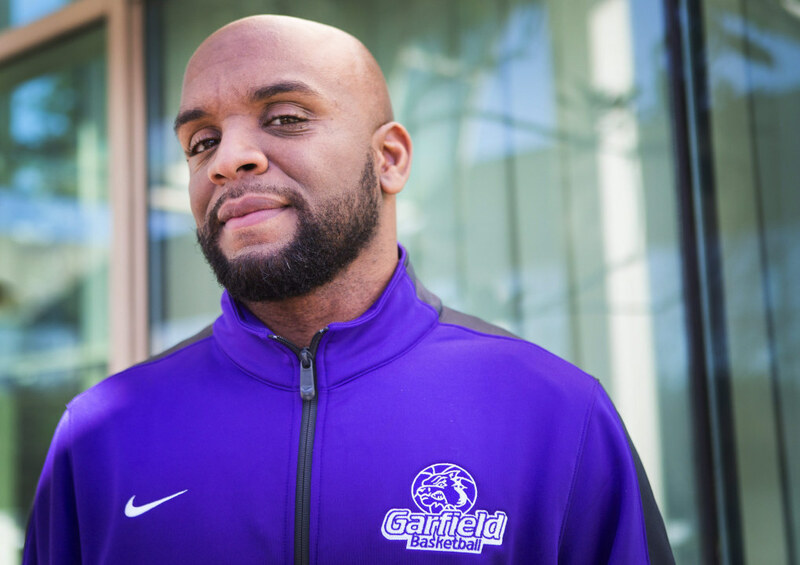 Garfield’s head basketball coach and athletic director Ed Haskins was offered and accepted a position as an assistant men’s basketball coach at Washington State University earlier this month. Haskins’ recent departure has left behind a nearly decade-long legacy that has dramatically affected Garfield’s identity. As a result, taking on the new job wasn’t easy for Haskins. “[Leaving Garfield] was probably the most bittersweet thing I have ever done. Literally. That’s why I had to do it over spring break because I don’t think that I could’ve done it because I had to leave with kids there, my kids. I just couldn’t have done it, it would’ve been too hard,” reminisced Haskins. However, after being offered jobs by college teams for years, Haskins felt compelled to take a job at his alma mater, Washington State. “In life you always want to strive to fulfill goals, and I’m a Christian and I feel like this is something Christ wanted me to do. I believe this is the next step in my life. I didn’t seek this job, this job sought me, and so I feel like when things like this happen and when doors open, you walk through them…and the door was wide open for me,” commented Haskins. The legacy Coach Haskins has left on Garfield truly has made it’s mark on Garfield’s identity. We’ve interviewed several staff and students who experienced Haskins’ work first-hand to capture the effects of his time at Garfield. Haskins’ faithfulness to exceeding the standards of success has inspired many Garfield coaches to do the same, including new head softball coach Whitney Jones. “That mentality and expectation of greatness that has been established through Haskins and the basketball program definitely had an impact on my eagerness to take the job at Gar field,” stated Jones. During his time here Haskins also devoted himself to networking with other schools around the country, allowing Garfield High School sports to become a well-known program. basketball went beyond winning games. Haskins was able to not only provide guidance for Garfield students, but advocate for their education. While Haskins directly impacted the school, it was Garfield, according to Hakskins, that was the one affecting him. “In my nine years there, the one thing I’ve known about Garfield is that the constant is Garfield,” stated Haskins. “There’s been a lot of different coaches, a lot of different principals, a lot of different athletic directors.” According to Haskins, the school impacts the staff, not the other way around. According to Principal Howard, Garfield is still advertising for the position of head coach, and expects to get a lot of applicants. As for the athletic director position, Mrs. Lee is in the position temporarily. However, administration is also looking for a permanent Athletic Director.